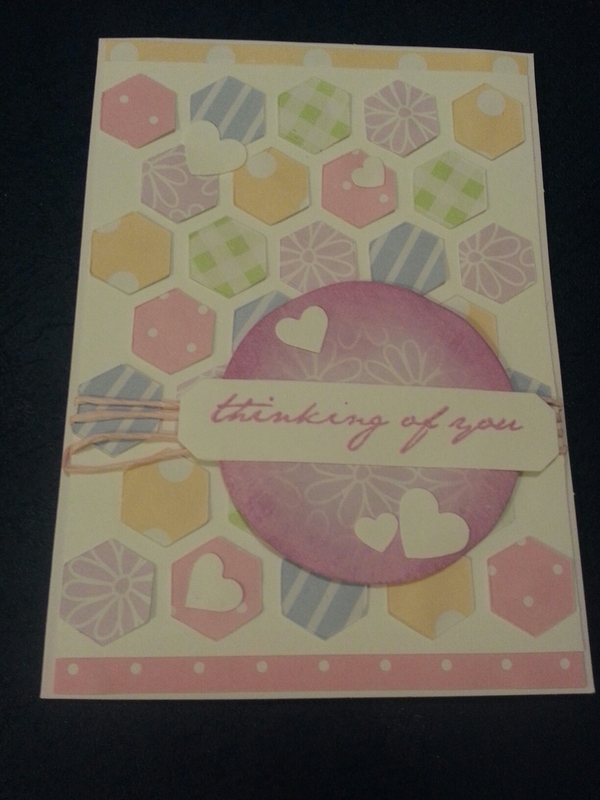 Today I had the thought to punch or die cut shapes out of white card, then colour them in with copics. I know this isn’t the thought of the century, and everyone must come to realise it on their own, in their lifetime, but now was my time. I thought about colouring he paper before punching, but this way you can put colours specific to the shape, like shading. Also this doesn’t leave the chance of the white core of the paper showing. You could always make it one colour and use it to match coloured images on a card or something. I think I’ve seen people do that, on YouTube, but they didn’t do much blending which was more what I was focussing on here. 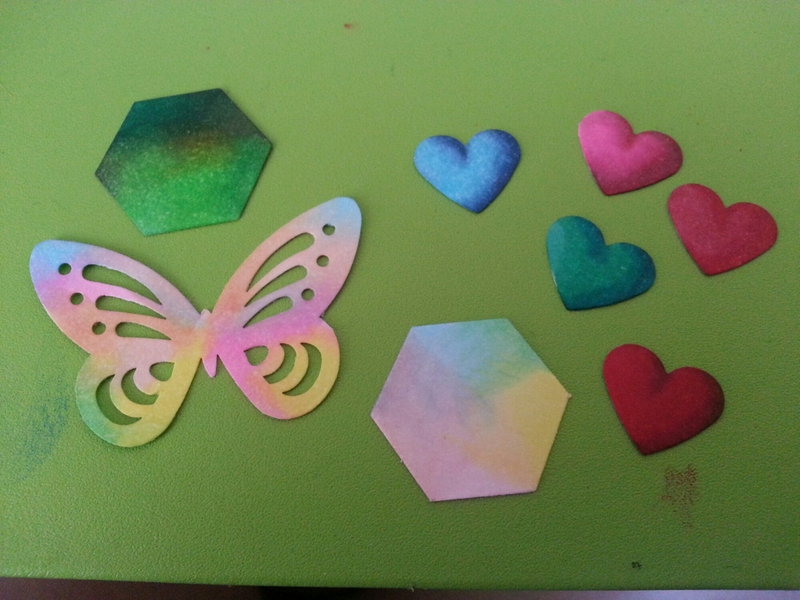 The colours that I put on the butterfly reminds me of a rainbow ice cream that I love. Now I need ice cream. I spent a part of today looking up craft room inspiration, as I’m going to buy a nice couple of cube storage shelving units. I drew up a diagram of what to put in each square, and where to put the fabric drawers so I could figure out how many I’d need. Because of my bad health, I need to plan everything out exactly, because I won’t have the energy or strength to change my mind or play around with furniture in the midst of cleaning. I’m hoping there’ll be enough storage. I’ll likely use some large containers for boxes, construction, wool and maybe fabric. I’m excited to the room to be finished. But its going to take a lot of time and effort, but hopefully I can earn the right to use an awesome room, by making it an awesome room. My craft room is meant to be my sanctuary, but at the moment, I can barely get in there. 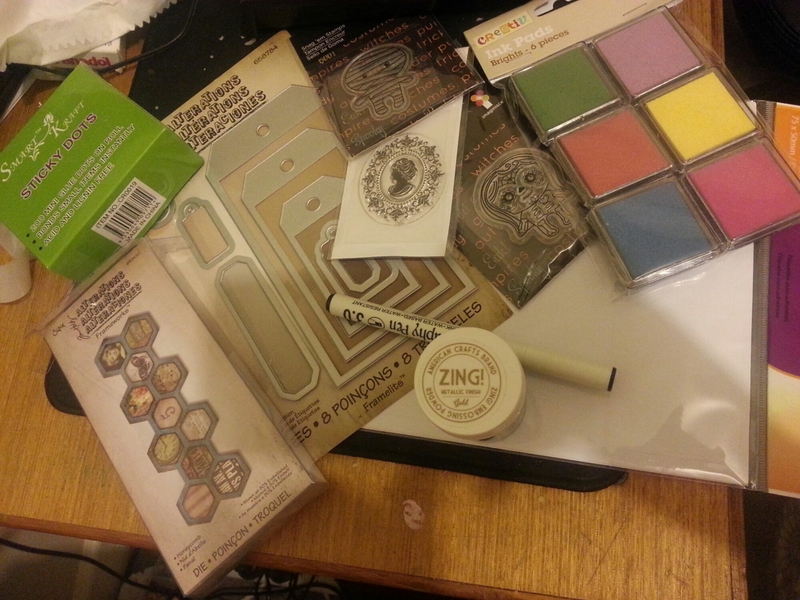 Finally got myself a hexagon punch! Yaay! Honeycomb for all. I was playing around with it, having some fun. There are loads of possibilities for this punch. It’s going to be fun finding them all. So, as I said in another post, I like to buy a few things with a lot of uses. The way I would do this is investigating. Sure I buy things on a whim, maybe when they are cheap or seam like a good idea, but when I plan, I tend to not only save money, but increase creativity. So, what am I talking about? 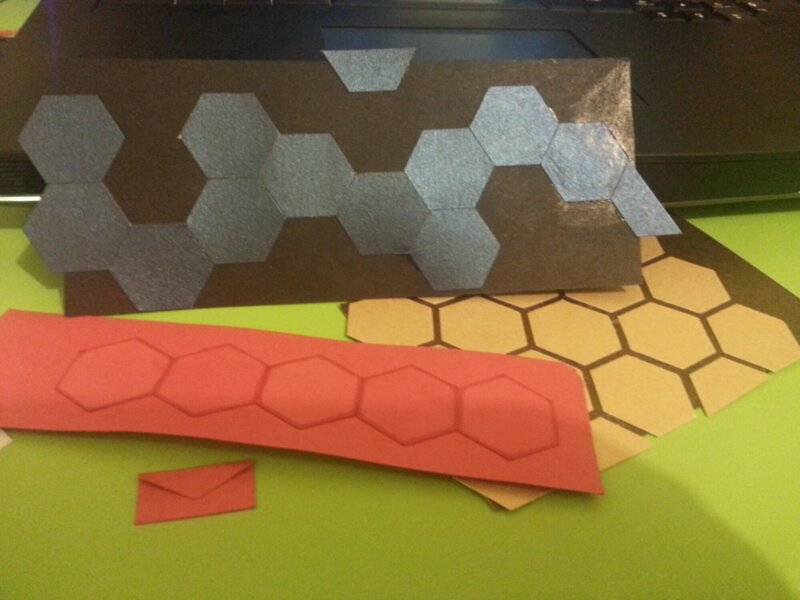 Say you buy a die cutting shape for a project. You get a shoe themed die. You may have one or two friends that like shoes, and it’s not very suitable for many occasions like Christmas. Once you’ve made a card for those friend with this die, unless you want to sell cards, you may not use that die again. 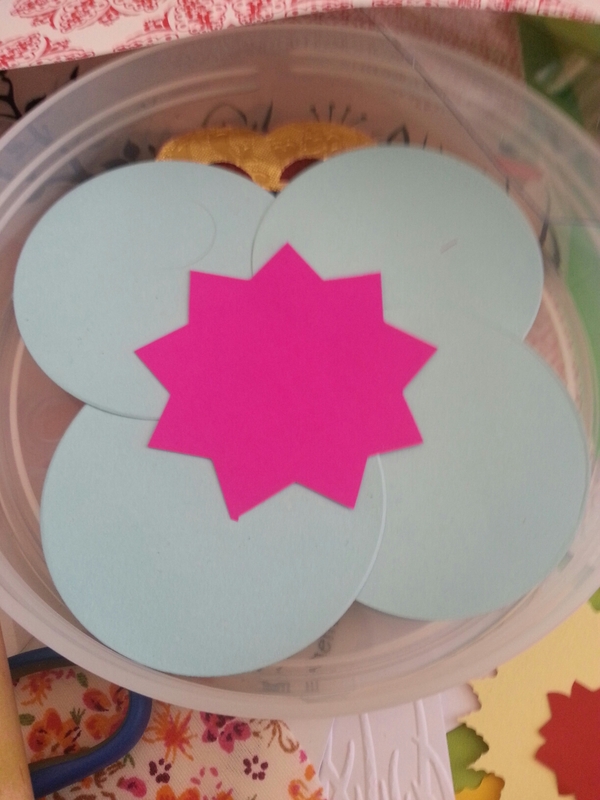 Alternatively, you could buy a small amount of diecut shapes online or friends that may have it. Or think creatively and cut out your own. 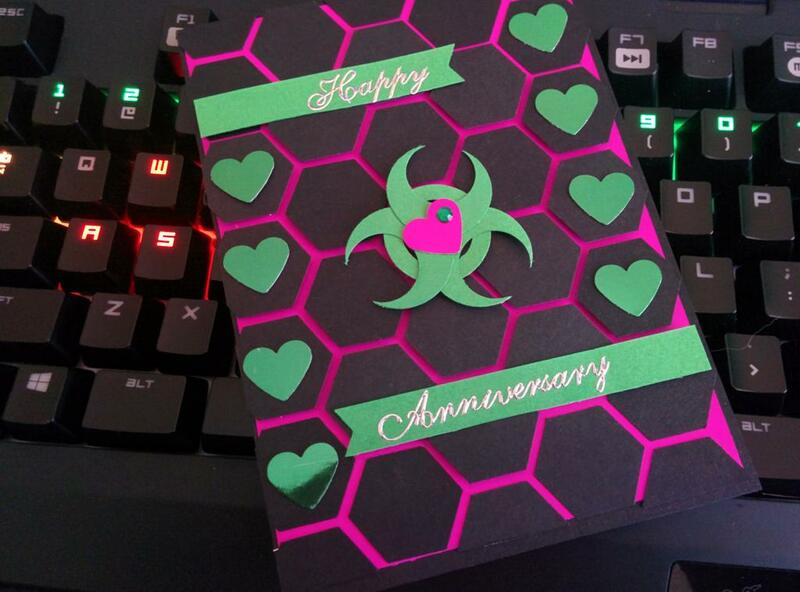 Flowers, swirls, circles, basic shapes and leaves are versatile, as a lot of the time you can modify them to change the look, and any amount of rearranging can be done to change the feel of the card. Flowers and butterflies will fit almost any occasion from sympathy to birthdays, weddings and Christmas. Just change the paper and colours. 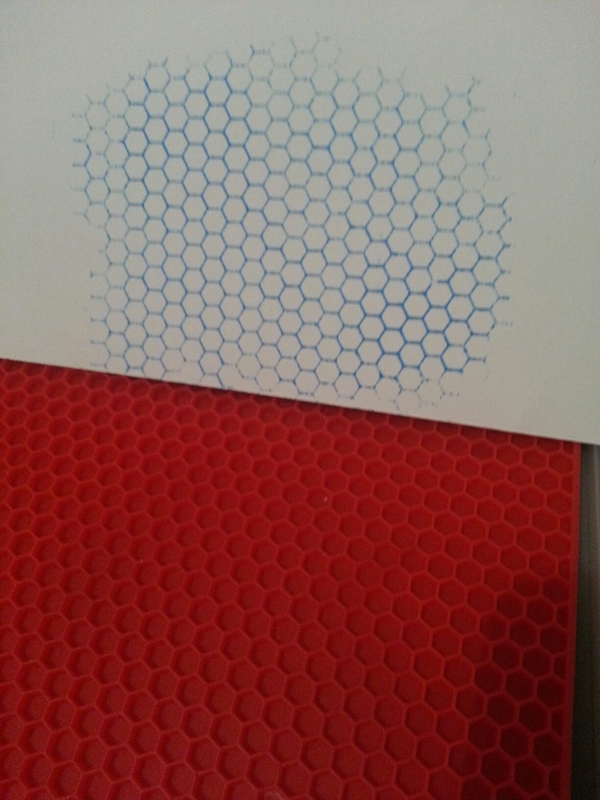 Shapes such as squares and hexagons can be used to make geometric backgrounds and suit male orientated cards. Flourishes and swirls can be cut or added to for endless embellishment options. Try and figure out reusability, modification options and whether its worth the money you are paying for it. Just be creative with the basics. Like lego, using the simplest building blocks, your imagination can build anything. It isn’t the amount of tools you have, it’s your skills that make the work amazing.